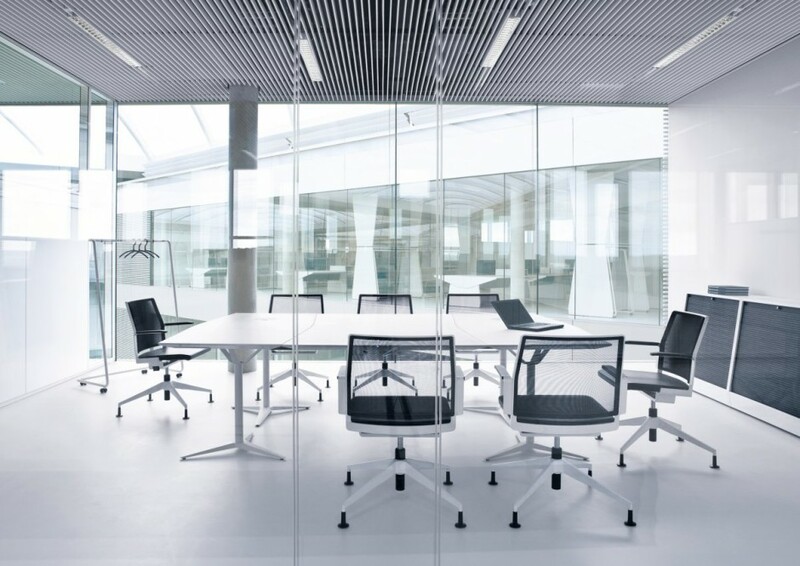 Renting an office space is a major decision. Albeit a potentially lucrative venture, there is much planning to do. Choosing the right look and feel for office décor is vital. Colors can affect a person’s mood, actions and thoughts. An office needs to have décor and colors that will promote creativity, wealth, growth, persistence and ease of thought. It makes sense to use those colors that would promote these attributes. Feng shui is all about bringing energy to oneself and more specifically, harmony or vitality. Color makes a lasting impact on people. While particular colors represent certain things or elements, most people are drawn to a few select colors. Luckily, these colors tend to suit both Eastern and Western ideas of color usage in offices. Feng shui uses the 5 elements—wood, fire, earth, water and metal—to create balance. Depending upon the location of any place, one needs different colors in a given area to increase the energy. However, by using all elements at once, it is argued that balance can be achieved. Wood is represented by the colors brown and green. Fire is represented by the colors purple, orange, yellow, pink and red. Earth is represented by light brown, light yellow and the color of sand. Water is represented by the colors of black and blue. Lastly, metal is represented by gray and white. For the purposes of decorating creative meeting rooms, it is best to use metal, water and fire colors to bring about creativity, knowledge and money (Fun Office Ideas: How To Creatively Name Your Meeting Rooms). The colors used to represent fire increases energy in one’s career. The colors used to represent metal bring clarity to thoughts, efficiency and sharpness of the mind. Colors that represent metal are useful in focusing on projects. The colors used to represent water bring an abundance of wealth. It also has amazing calming properties. Because the wood element can be a cure for prosperity and wealth, colors of brown and green could conceivably be used to decorate a creative meeting room. 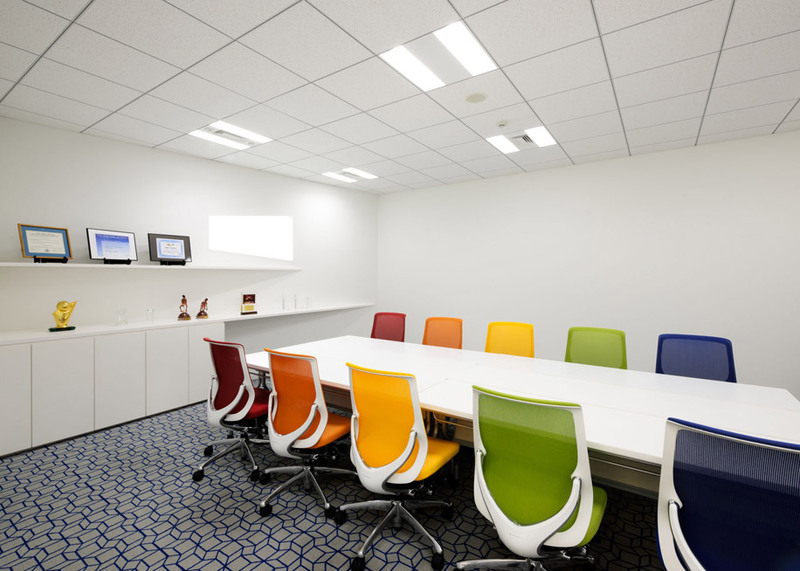 A meeting room could conceivable contain gray or white, black, blue and a deep shade of red. These colors tend to produce a calming effect in most people. Depending upon the shade of red, different effects may take place. It is best to use a deeper shade of red to promote calming effects, rather than the excitement of passion. Whether one believes in feng shui or not, colors have an amazing effect on people’s emotions. Fast food and family restaurants use vibrant colors of red and green to promote hunger, banks typically feature blue and gray walls, spas feature soft colors and places that wish to produce a calming effect, typically use shades of blue. Color is used in virtually every business and for apparent reasons.